Now that everything has been decided (barring an appeal) and we have the benefit of the full decision, I think the time is right to look at what went wrong and why. Like anything, I think no one person is completely to blame but there are several issues that this whole saga has thrown up that need talking about. I think a lot of Blues fans believe that the club has been unfairly treated by the EFL, and on the surface it’s not too hard to see why. The EFL statement on Friday confirmed that Blues were the only team to fail the P&S guidelines last season – which seems incredible bearing in mind some of the stuff we have seen from other teams in the division. If that was the case, then why were Blues the only team punished? I’ve long said that the biggest issue with the whole Profit and Sustainability rules process is the secrecy that abounds from it. It’s difficult to understand where clubs stand; accounts can be difficult to read and are often released completely out of sync with when P&S decisions are made. That makes it difficult for fans to accept that their club may be in trouble when it seems other teams are getting away with murder. 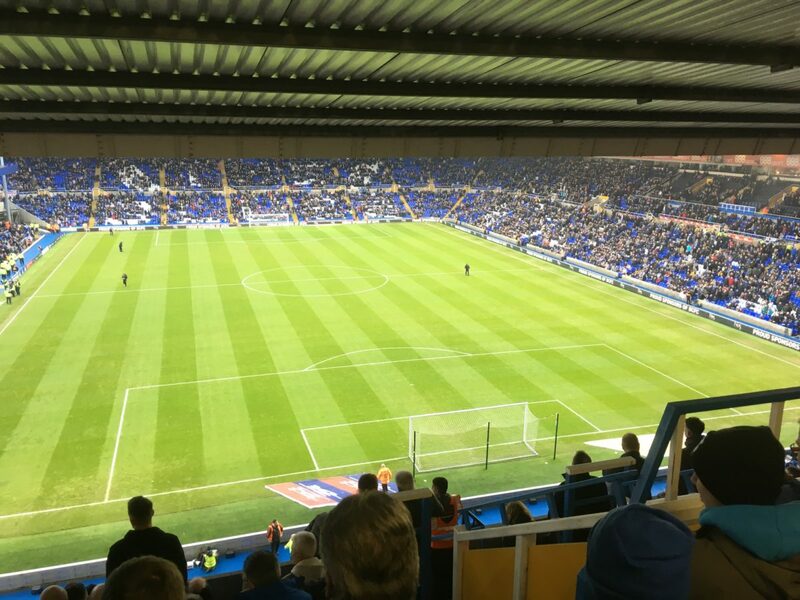 Likewise, one only has to look at the problems at Bolton Wanderers to wonder why Blues have been so harshly embargoed despite paying all of their debts. Then there is the matter of the figures involved. Blues were restricted to making five signings this season, with each to have wages of no more than £10k per week. If one believes this piece published by 888sport in December which gives an average wage in the division of £25k per week it shows not only how restrictive that embargo was but also how out of control wages have got in the division. Is there a justification for revising allowable losses and wage levels under embargo? Note is made of the signings made by Gianfranco Zola in January 2017 and by Harry Redknapp in Summer 2017, and the impact that they had on the club’s finances. The document confirms that under Zola Blues spent £7.45million on four players while in the summer transfer window Blues signed nine permanent transfers and five loan transfers at a cost of £23.75million. The result of this was that the player expenses at the club doubled from £11.3million in the season 2016/17 to £22.45million in 2017/18. Furthermore, it was confirmed that the summer of 2017 saw Blues’ liability for salary costs increase by £8million in the 2017/18 season alone. The wages to turnover ratio went from 120% in season 2016/17 to 195% in 2017/18. Things were so out of control that even if Blues had not spent money in the Summer of 2017, internal forecasts from the club showed that they would have struggled to have met P&S limits anyway in the next two seasons. However, as out of control the transfer spending was, I’m not inclined to believe that either manager was much to blame for overspending. I’m of the firm belief that in both transfer windows it wasn’t the manager who was in control of spending, but the board and people who had been employed to advise them, such as Darren Dein and Jeff Vetere. Interestingly neither Dein nor Vetere are mentioned in the hearing document. This doesn’t surprise me, as the role Dein had within the club was also in contravention to EFL rules and it would not make any sense for the club to admit that. I believe that If Blues are to not fall foul of overspending on transfers in the future it’s vital that the club creates and sticks to a coherent transfer policy. One of the things I admire about Garry Monk is that it seems obvious to me he’s looking for specifics when signing players. I think it’s imperative that Monk and his team are left alone to identify which players they want to sign based on what is right for the squad – and more importantly the board then sticks to a rigid structure on wages and fees to make sure the club won’t be financially crippled by a signing in the future. One of the reasons it’s difficult to blame managers is because it is a club’s owner who sanctions how much of their money they are going to allow to be spent. Without wanting to absolve people of blame, I have two issues with this statement. Firstly, it smacks of being the “Nuremberg Defence”. I think as a director and CEO of the club Ren had the fiduciary responsibility in Summer 2017 (just as Panos Pavlakis did in January 2017) to ensure the club complied with the rules. I’m willing to accept in Chinese culture it’s very hard to go against the boss’s wishes but I think that the point of the role of the CEO is to run the club properly. Secondly, and more importantly, I think that the murkiness around the club’s ownership situation has a role to play here. I’ve talked a lot about Wang Yaohui (Mr King) and his role with the club and I believe it was he who made the decisions and offered the money for transfer budgets. I can imagine that Paul Suen Cho Hung is very unhappy at being brought into this as he had nothing to do with it. Suen has enough trouble of his own at the moment with the Hong Kong financial authorities examining his holdings closely without more attention being brought to his name. If I’m honest, I wouldn’t be surprised if the whole BCFC board might feel Suen’s wrath for implicating him in the manner – particularly as previously mentioned that Chinese culture demands that the boss is respected. Last July I wrote a piece on this website entitled “Ren Out”, in which I talked about how I believed the signing of Kristian Pedersen while the club was embargoed was as a result of either naivete or incompetence. Blues were not further punished for the signing of Pedersen because of a technicality; in allowing Pedersen to be registered the EFL had effectively ended any circumstances that the signing of Pedersen was an aggravating factor. However, in his oral evidence Ren accepted that Roger Lloyd (who at that time was Financial Director) had told him that the club could not sign new players, and that due to Lloyd having dealt with registration embargoes previously Lloyd would have fully understood the implications of the embargo. The internal management emails with respect to the Pedersen incident were not produced by the club in their defence. My inference from that is that those emails are damning of Ren, and maybe form a basis for the “toxic turf war” I mentioned at the time. That toxic turf war is no longer, and it would appear that the new senior management team – Ciara Gallagher (club secretary), Asif Khawaja (CFO) and Lungi Macebo (COO) – are settled and running the club without the issues the former SMT had. It’s my belief now that it’s important that Ren, Edward Zheng Gannan and the rest of the BCFC board understand and respect the advice given to them by their day to day staff. Failing to do so again would potentially create another absolute disaster of a situation which could be avoided and result in more heartache for Blues fans.